CasCade 5000 Floating FOUNTAIN aerator! Best Price on the market Anywhere! Full 1 Yr. Warranty on all components! moving water AND aerate your water! Kit. Buy Now and $ave !!! reason.......... "it doesn't get any better than that!" *Pre-Installed Lite Kit, gracefully lights up your water display at night. *Longer draw tube extensions available from us in 2ft increments - email us for details. colored interchangeable lenses! Best of all, right now- You receive the Lite Kit at NO EXTRA cost! 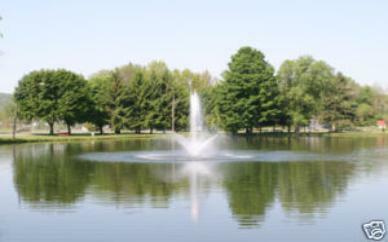 WHERE YOU WANT TO LOCATE IN YOUR LAKE/POND, Plug it In and E N J O Y !!! water from bottom areas to the top.